I personally don’t consider myself a cyclist by any means. I go for evening bike rides with my wife every few weeks, but I don’t take anything about the sport seriously at all. It’s just a means for me to spend some time with my wife, and at the same time get a little extra exercise. When it comes to cycling, there are two ends of the spectrum; those like me who do it from time to time on an amateur level, and then there are those who take it extremely seriously. The latter are usually individuals who spend thousands upon thousands of dollars for the highest quality bikes, equipment, and gear. Every ounce a bike weighs is one more ounce that needs to be pushed along by the mechanics of the pedal system. This is why we see bicycle companies trying everything they can to increase strength while decreasing weight. At the same time, strength is important, as is the design of the bike’s frame. A design that lacks aerodynamics could be even more of a problem for a cyclist than the bike that weighs too much. One man, named Matt Clark, has taken all of these things into consideration with his Innervision bicycle. What’s so unique about the Innervision bicycle isn’t the fact that its frame is 3D printed. We’ve already seen 3D printed bicycles, and in fact they are growing in popularity. This isn’t a fly-by-night project for Clark. In fact, he has been refining his unique method of fabrication for these bike frames since 2008, and he now feels as though 3D printing is at a point where fabrication of his frames can be greatly enhanced. 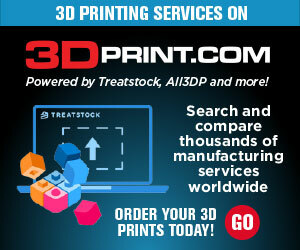 Clark believes that 3D printin g offers, by far, the best method of producing a seamless, rigid design. He plans on 3D printing it using fiberglass-reinforced polypropylene — ideally recycled polypropylene content. Clark believes that companies like Local Motors could greatly benefit from utilizing the Innerframe design in their 3D printed cars, rather than using the more conventional method of “solid-form” 3D printing. The Innerframe design is best described as featuring an innovative internal spaceframe-like structure that includes triangulation and molded beams which act to increase its strength, while at the same time strategically distributing weight. Using SolidWorks, Clark optimizes the Innerframe in the same way that many 3D printed interiors of objects are optimized. This optimization will allow the Innerframe to vary in thickness throughout the structure, allowing Clark to custom tailor its strength and weight. At this point, due to high machine costs, 3D printing an adult-sized frame will only be accomplished by a devoted 3D printing manufacturer. However, as machine costs decrease, I believe consumers will eventually have the ability to purchase a licensed frame design at their local bike shop and have it printed on-site. That’s when the major shift will occur. The existing prototype (seen in the image featuring the white frame) weighs about 10.5 pounds, but the 3D printed version that Clark plans on fabricating will weigh significantly less. As of now, Clark could not give a price that these bicycles will sell for, but he does plan on having them available by the end of this year. His hope is that within a short amount of time, as machine costs decrease and 3D printing becomes more popular, consumers will be able to purchase a licensed frame design at their local bike shop and then have it 3D printed on-site. What do you think about the Innervision Bicyle? Discuss in the 3D Printed Bicycle forum thread on 3DPB.com.